Champion Game Winner displayed courage on the racetrack to remain unbeaten at two, but he’d already come through a far more difficult experience: losing his mom as a baby. Game Winner was bred by Jane Lyon’s Summer Wind Farm, home to a select broodmare band including Littleprincessemma. The dam of Triple Crown champion American Pharoah, Littleprincessemma has also produced current Kentucky Oaks (G1) contender Chasing Yesterday, a stablemate of Game Winner’s in the Bob Baffert barn. Another prized mare in the Summer Wind collection was Game Winner’s dam, Indyan Giving. She was herself a homebred, her name a play on her parents – Hall of Famer A.P. Indy and champion Fleet Indian. By past Baffert star Indian Charlie (third as the favorite in the 1998 Derby), Fleet Indian earned her Eclipse Award for a nearly perfect campaign. Then owned by Paul Saylor, she entered the 2006 Breeders’ Cup Distaff (G1) as the 5-2 favorite, thanks to an eight-race winning streak highlighted by the Beldame (G1), Personal Ensign (G1), and lucrative Delaware H. (G2). Sadly, Fleet Indian sustained an injury during the Distaff. After uncharacteristically losing position entering the far turn at Churchill Downs, Hall of Fame rider Jose Santos did well to ease her out of the race. Although her racing career was over, she began her new life as a broodmare. Carrying her first foal by Storm Cat, Fleet Indian was offered at the 2007 Keeneland November Breeding Stock Sale. She brought the gavel down at $3.9 million, but that wasn’t high enough to meet her reserve price. Summer Wind struck a deal to purchase her privately, and Fleet Indian took up residence at the Georgetown, Kentucky, farm. According to the business plan developed by Lyon and her late husband, Frank, their mares’ offspring would be sold as yearlings. Fleet Indian’s Storm Cat colt, Storm ‘n Indian, commanded $2.05 million to rank as the top seller at the 2009 Keeneland September sale. Her second foal, Indyan Giving, did not spark the same level of interest the following year. When bidding stalled at $385,000 – below her reserve – she was retained by Summer Wind. Indyan Giving was put into training at two, and just as she neared her first recorded work, tragedy befell her dam. Where do you begin to describe a mare like Fleet Indian? She seemed too grand for words. She was Fleet Indian. She was an incredible racehorse. She was awe inspiring. She was a champion. She was Fleet Indian. She broke her leg. She survived. She was a fighter. She was Fleet Indian. She was a wonderful broodmare. She was a loving mother. Her first foal was a sales topper, no surprise. She was Fleet Indian. She was big and beautiful. She was kind and gentle. She was Fleet Indian. She graced our pastures and our lives. Now our hearts break. May God smile on her in heaven. May she live on in our hearts and in her foals. After all, she was Fleet Indian. Indyan Giving met with a setback in training herself. Rather than press on with her, Jane Lyon preferred to bring her back home to Summer Wind as a broodmare. After producing colts in her first two years, Indyan Giving was bred to Candy Ride (now best known as the sire of 2017 Horse of the Year Gun Runner). 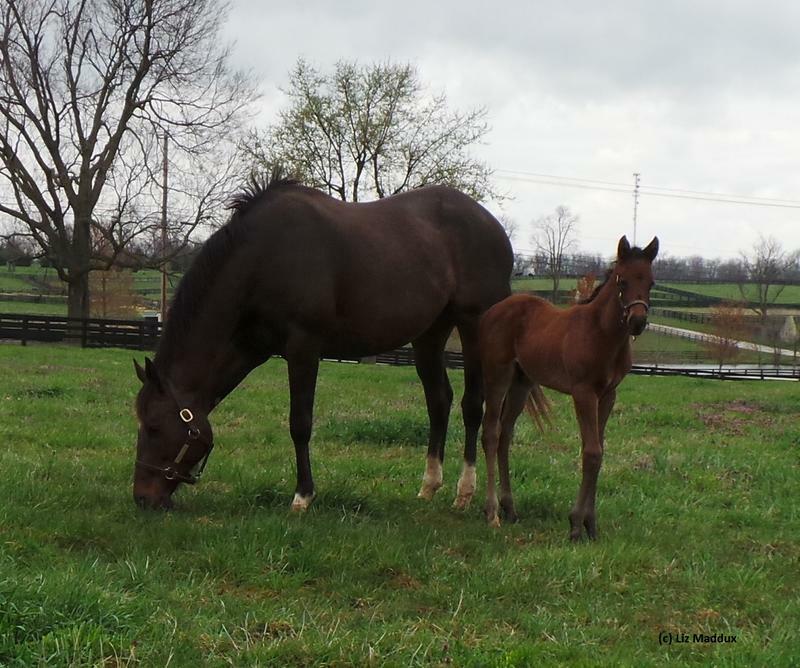 Her bay foal arrived on March 6, 2016, her third colt in a row. As a sign of how much she loves her horses, Lyon names them early on, even though they are destined for the auction ring and likely new names bestowed by their buyers. Indyan Giving’s new Candy Ride colt was called Honorarium, carrying on the gift theme. Tragically, Indyan Giving fell ill when Honorarium was only a couple of months old. In a nightmarish parallel to Fleet Indian’s passing, she too developed colic. Indyan Giving made it through surgery, only to succumb later, leaving Honorarium an orphan. Adding to the grief, Lyon lost Indyan Giving just several months after Frank passed away at their Little Rock, Arkansas, home in November 2015. Ordinarily, a nurse mare would be needed to nourish an orphaned foal, but Honorarium was different. Like his dam, Honorarium toured the Keeneland September sales ring as a yearling and found himself overlooked. In his case, one of his feet proved a stumbling block for potential buyers – but not Gary and Mary West, with good advice from their team including racing manager Ben Glass and Jeff Kirk. Kirk, an Ocala-based trainer who specializes in giving youngsters their early lessons, diagnosed the issue. As reported by Blood-Horse, it wasn’t an intrinsic liability; rather, it was the shoeing. That meant a straightforward solution. Thus Glass, on the Wests’ behalf, was able to purchase the well-bred colt for the bargain price of $110,000. The yearling spent time at Dell Ridge Farm before going off to school at the training center run by Jeff Kirk and his wife, Carolyn. Among their famous alumni are Hard Spun, the 2007 Kentucky Derby (G1) runner-up; champion West Coast, also owned by the Wests; and Round Pond, ironically the winner of that 2006 Breeders’ Cup Distaff. Renamed Game Winner, the future champion was forward enough to post his first work for Baffert on April 21, touring a quarter-mile in :25.40 at Los Alamitos. He captured his Del Mar debut August 18, upstaged better-fancied stablemate Roadster in the Del Mar Futurity (G1), and romped in the American Pharoah (G1). Game Winner accordingly lined up as the 6-5 favorite in the Breeders’ Cup Juvenile (G1) at Churchill Downs, and despite enduring a tough trip, he overcame it all to prevail. After all, he is Game Winner.